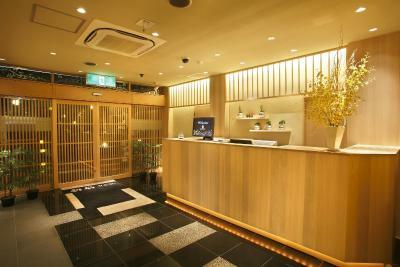 Lock in a great price for Miyabiyado Takemine – rated 8.7 by recent guests! The bed was comfortable, and the room was very large. The bath was nice and big though the jacuzzi function no longer worked. Staff was helpful and accommodating and spoke good English; they responded quickly to my messages before the stay. 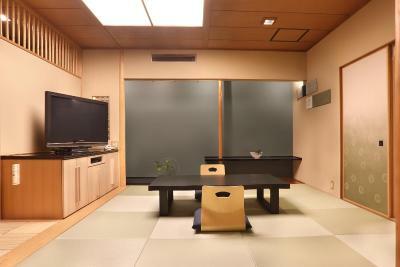 Nice quiet retreat in a semi-traditional feeling environment. Nice bath products. 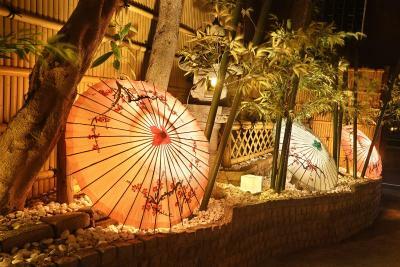 The staff were very friendly and tried hard to accommodate requests. 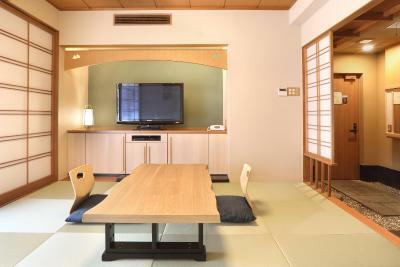 The rooms are very traditional Japanese, which was really fun. 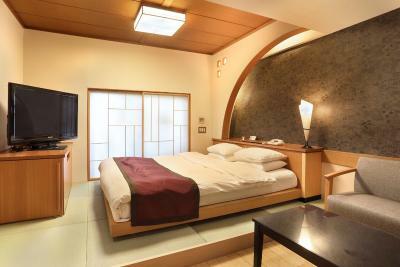 The rooms are big and well maintained. 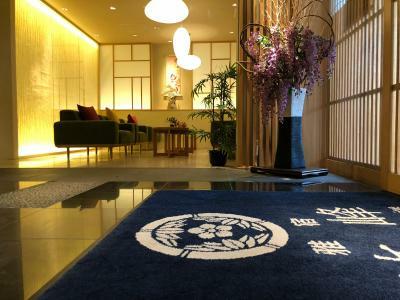 We stayed for 4 nights and the extra space and zen-like calmness of the hotel was a welcome oasis away from the madness that is Tokyo. 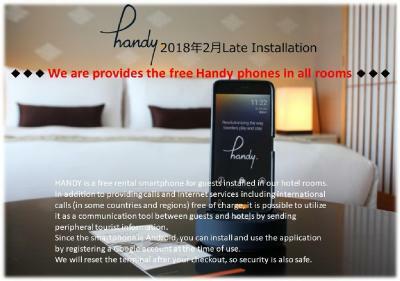 They offer a free smart phone which you can take around with you - well worth getting to know how to use it as it is invaluable for navigating the public transport system. 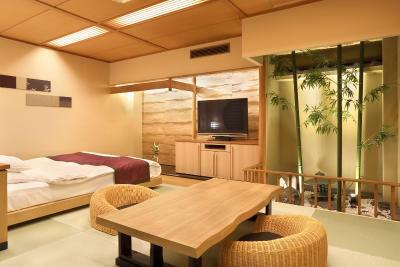 Brilliant Japanese themed rooms with indoor gardens and massage chairs - very fun and luxurious! 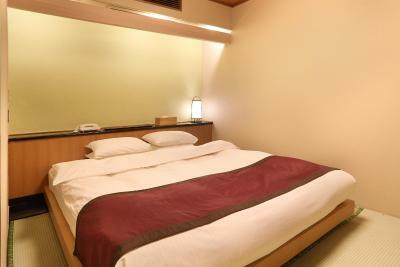 Wonderful in room facilities, enormous bath and comfy beds. Immaculate condition. 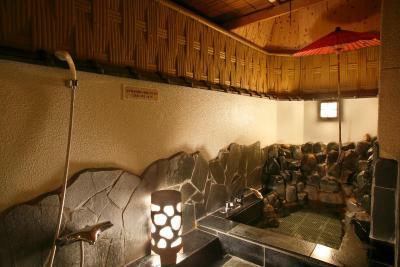 Very warm and cozy ambience. You get what you pay for. Staff were friendly and did not fail to remind us to check out on time. Breakfast was served on time. Nice big bathtub, pity the jets were not working. 10 min walk to Nankai Metro. 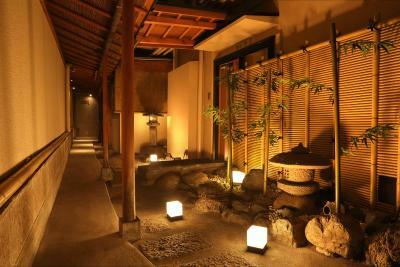 Takemine is a wonderfull japanese typical ryokan. The staff is gentle, professional and friendly. 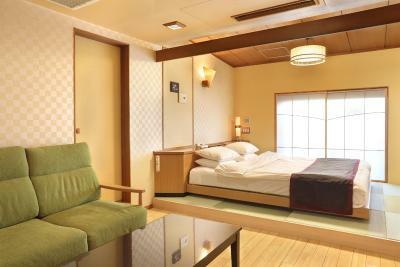 My room was confortable with a first class futon bed and a private onsen. 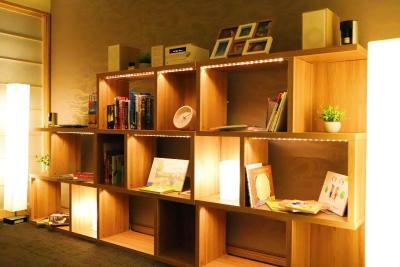 The location is very calm and easy to access with the subway. 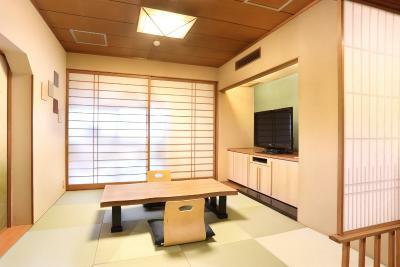 I warmly recommend this ryokan to any traveller who want to stay in typical japanese condition. Very nice staff made our honeymoon stay memorable. 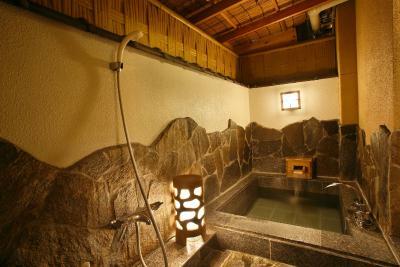 Love the amenities, the private open air bath was very relaxing, and the place was impeccably clean. My wife thought we were a bit high maintenance because we changed our meal plan (time and selection) twice, but the staff was more than accomodating and friendly to our requests. They even surprised us with complimentary champagne during our dinner. Thank you all for the top notch experience! Good service, breakfast was delicious and best part was the massage chair in our room. The staff are very friendly and helpful from the moment I walked in the door to the time I left and got in the taxi. They helped me with reserving my entertainment to directions to go to my destinations. The breakfast in my room was a wonderful touch. I have my own jacuzzi in my bathroom too. They thought of all the toiletries I need in my bath. It’s very quiet and peaceful. It’s also 2 minutes (a block away) from the train station. It’s the best value for my buck! 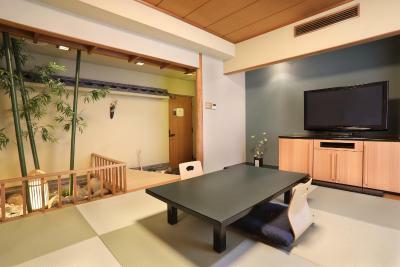 The property is nicely located near a train station and not far (20 minutes) from a JR station (walking). 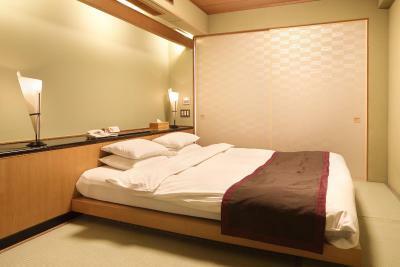 The place is clean, room adequate and beds are comfortable. We had a room with private bath (spa tub), this was quite convenient. Bathroom a.m. memories are very good. Breakfast was salmon, rice + raw egg, soup, green salad, and macaroni salad (did not try the macaroni salad). We are accustomed to Japanese breakfast so this was good. Check in and check out are easy. They speak English well. 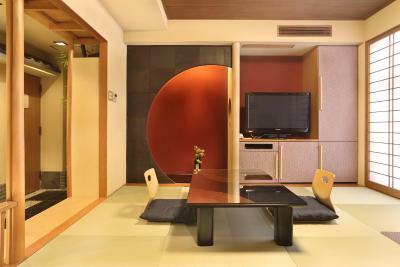 Miyabiyado Takemine This rating is a reflection of how the property compares to the industry standard when it comes to price, facilities and services available. It's based on a self-evaluation by the property. Use this rating to help choose your stay! 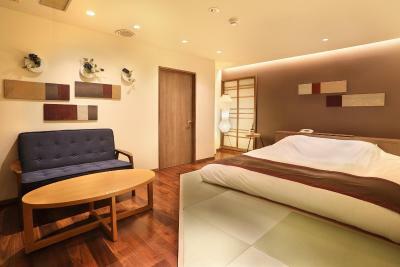 Fully renovated in April 2018, Ryokan Takemine features modern Japanese theme in central Tokyo city. 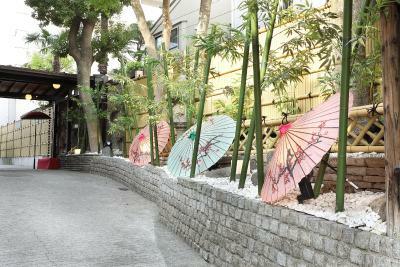 Just a minute's walk from Shimo-Ochiai Station, Kabukicho area is just a 13-minute train ride away. 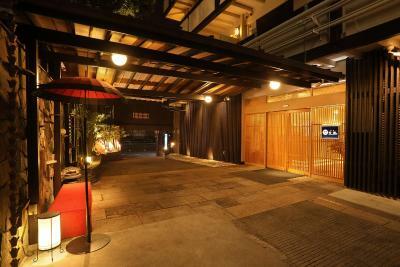 The ryokan offers free WiFi and free private parking, while guest can find a 24-hour front desk on site. 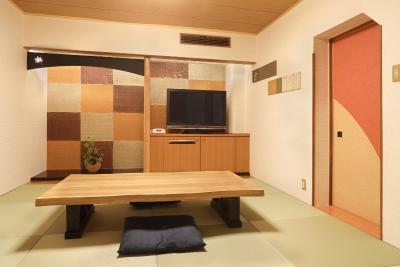 All air-conditioned rooms feature tatami (woven-straw) flooring and certain rooms offer Japanese futon bedding or mattress bedding. 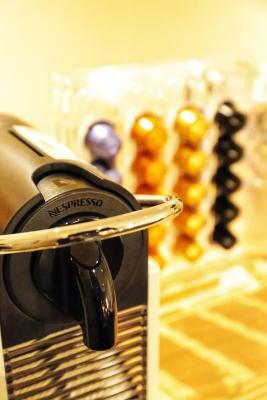 Rooms feature a flat-screen TV with Blu-ray player, coffee machine and electric kettle. 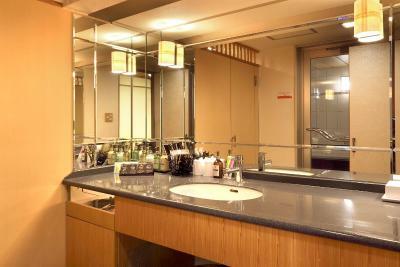 The private bathroom offers a hairdryer and free amenities. Certain rooms feature a massage chair for guests to relax in after a day of exploring. 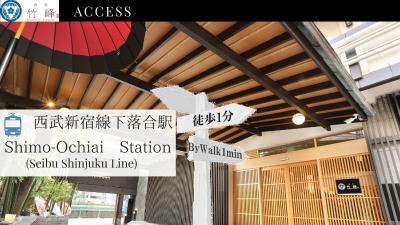 Meiji Jingu Shrine and Harajuku area is 20 minutes away by train from Ryokan Takemine. 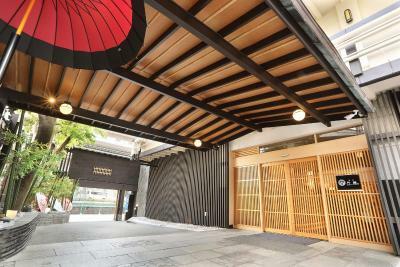 Shinjuku Ward is a great choice for travelers interested in shopping, friendly locals and food. 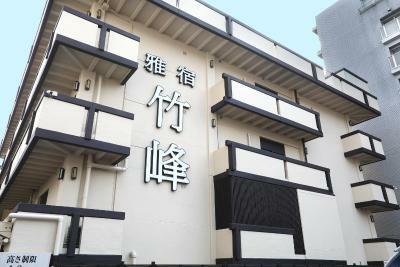 When would you like to stay at Miyabiyado Takemine? This family room has a mini-bar, microwave and electric kettle. This double room has a DVD player, mini-bar and microwave. This quadruple room features air conditioning, electric kettle and microwave. This quadruple room has a mini-bar, DVD player and electric kettle. This quadruple room has a electric kettle and air conditioning. Area Info – This neighborhood is a great choice for travelers interested in shopping, friendly locals and food – Check location Great location - show map Guests loved walking around the neighborhood! House Rules Miyabiyado Takemine takes special requests – add in the next step! 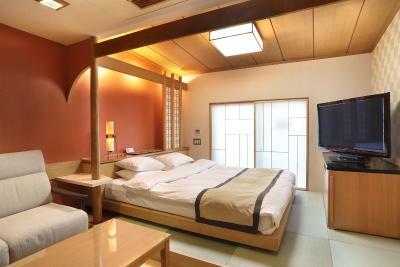 Any additional older children or adults are charged JPY 3000 per night for extra beds. 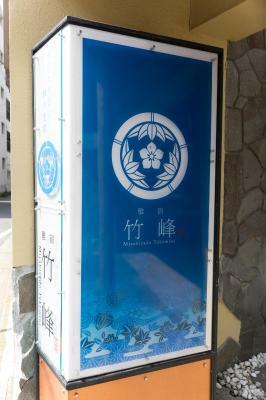 Miyabiyado Takemine accepts these cards and reserves the right to temporarily hold an amount prior to arrival. Please inform the property in advance if guests have any food allergies or dietary needs. Please note that child rates are applicable to children 12 years and younger. Please contact the property for more details. WeChat Pay and AliPay is accepted at this property. Please note that the hotel will undergo a scheduled power outage due to facility inspections and electric facilities including WiFi, air conditioning, elevators and hot water supply will be out of service on the following dates/times: 13 May 2019, 11:00-14:00. I was extremely disappointed with the food and this kind of ruined the experience. 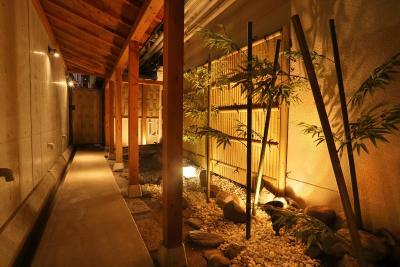 One of my favorite parts of traveling in Japan is the excellent food, and I’ve come to expect special meals in ryokan. This food was a major disappointment. The breakfast was fine—nothing special and the exact same every day. Next time I would book without breakfast and find better food out in the city. Two of the nights the tamago had a slightly hard outside as if it was old—the third morning it was normal. The dinner was the biggest disappointment. After trying the breakfast, I asked if I could cancel my pre-paid dinner, and was told that I could not. 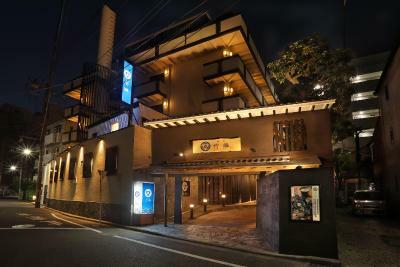 I considered just skipping and I wish I had but I had pre-paid a whopping ¥5700 for the seasonal Kaiseki dinner. It was worse than expected. The tempura was lukewarm and soggy as if it had been reheated. The beef stew was incredibly tough and dried out. Rice dish was very bland and soggy. Some of the sashimi was good but the uni tasted seriously off—I’m a big fan of uni in general but the bit I had put me off the rest of my meal; I ultimately left most of the food behind and had snacks from 7-11 for dinner. The one redeeming dish was the miso broiled fish. Overall I couldn’t believe the low quality and preparation of the dinner at an incredibly high price. Otherwise a few little things, the tap water was not drinkable and even for gargling tasted very weird, and my non-smoking room smelled like cigarettes. 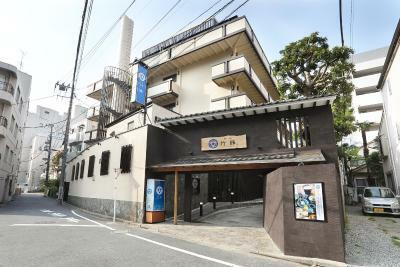 The location is in the suburbs—near a station that with a transfer gets you to Shinjuku/Shibuya quickly, but almost no restaurants in the area right around the ryokan. We spent our honeymoon here and it was spectacular! Hard to believe it is minutes from Tokyo!!! I loved the presentation of the breakfast but didn't enjoy the breakfast. Also when I booked I didn't realise we did not have 24 hour reception which I would have felt more comfortable with. 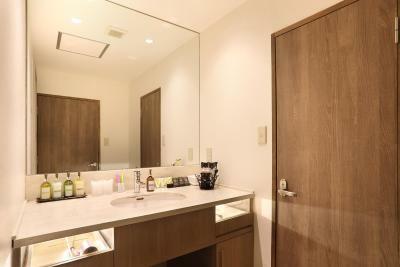 The hotel was really lovely and the wooden bathroom was beautiful. 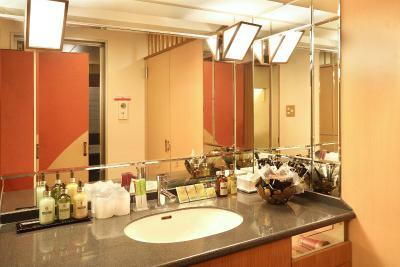 The little touches with the toiletries were very nice. Our beds were super comfy and cosy. A room window would have been nice. 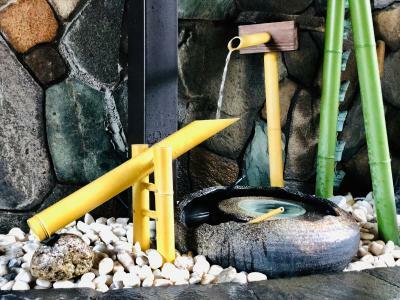 Outside onsen was a lovely feature. Choice of breakfast was excellent, service was terrific. The staff were all very helpful and spoke excellent English. The room amenities were very good. All staff was very helpful and friendly. The room was beautiful and the breakfast was amazing. It was a short was to the station, restaurants, parks and temples. 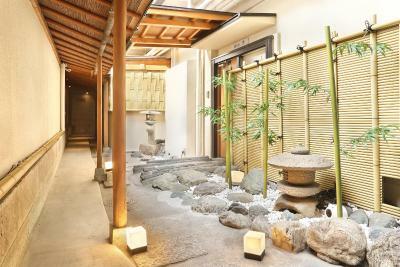 I will stay at this Ryokan again during my next trip to Japan. The hotel is a bit off the beaten track, with pretty much nothing interesting in the immediate area. It is very close to a Metro station, but you do have to use the train every time you went out. 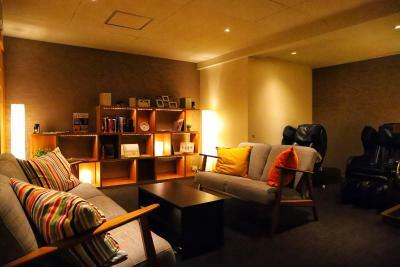 However the pay-back for being outside the main tourist areas is that the rooms are significantly bigger than the "typical" Tokyo hotel room. Jacuzzi had been downgraded to a bath, although no big deal, still huge and fun! Massage chair really needs English instructions, took forever to learn to use it. Only one parking space, not sure what we would have done if other guests had been using it, but the free parking was a HUGE plus. Everything was great and staff was super nice and helpful. Very spacious. Quiet but great neighborhood. Location also very accessible. Tremendous value. Bathtub should have the jets functioning. There was no where efficient to put the luggage, no shelves or luggage racks, made it very difficult to move around room with bags on the floor. We where not told until we entered the room that the bathtub did not work and the venue from the lounge room was the staff back deck where they cleaned and all the down pipes where, so we could not get fresh air due to smells. Possibly a little far from the sights on the far side of town. 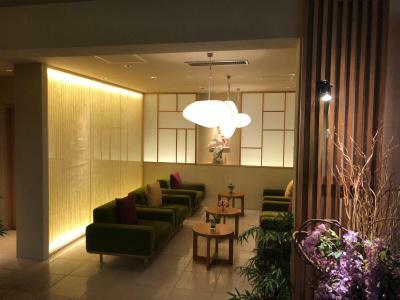 The room was larger than expected and fitted out classic Japanese style, the breakfast options of both Japanese or Western where superb! Thee staff where extremely friendly and helpful. The area was extremely quite so we where able to get an excellent nights sleep. The staffs are super helpful and friendly. The room is huge and It's been a very comfortable stays. The parking spaces are actually quite limited, but the location is in a very good spot nearby public transports, so I think driving is not necessary.